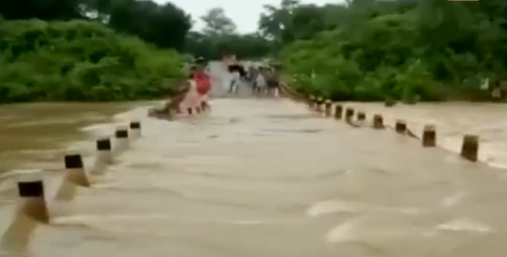 – Mayurbhanj: Adapala bridge submerged in Udala after heavy rains; vehicular movement disrupted. – Governor Dr SC Jamir clarifies he is fine, denies heart attack talks. – One-month-old child dies after wall collapse at Bilparia village in Balasore dist. – Uttarakhand: PM Modi inaugurates various development projects in Kedarnath. – MP: Police constable Balmukund Prajapati shot dead in Chhatarpur. – Air Quality Index (AQI) recorded ‘severe’ in Delhi after Diwali celebrations. – Tamil Nadu: 8 killed, 3 injured after bus depot roof collapses in Nagapattinam. – Facebook to launch‘Explore Feed’ for desktop users.